Drones have existed since the early 20th century and have been evolving continuously since then. Not only the internal and external components, but the applications of drones have also seen a tremendous change. There are such applications of drones today that were never thought of until the mid-19th century. However, there have been mixed reactions from countries when it came to adopting drones. 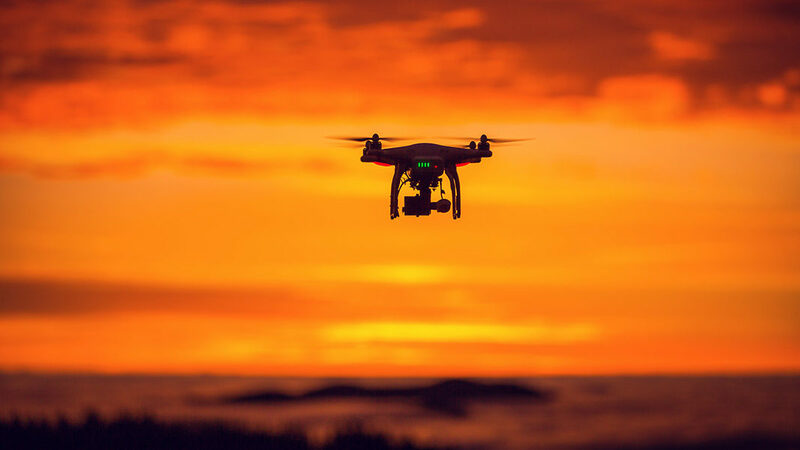 Some countries have quickly embraced drones with well-defined laws, some countries are carrying out research and experiments with drones and some countries have strictly banned drones. What is the world using drones for? Drones are going through a lot of tests all over the world. The tests are being carried out to determine how useful the drones are for various applications. Drones find applications in critical verticals such as providing emergency services, weather forecasting, military surveillance etc. as well as in food/ product delivery, postal services, infrastructure planning etc. to name a few. Also, there are some areas that are yet untouched by drones but will soon be. As a stepping stone towards the growth of the country, the Civil Aviation Ministry of India has permitted the use of drones. The ministry had emplaced the regulations for operations for Remotely Piloted Aircraft earlier and as per the latest announcement by the Suresh Prabhu, the process for registering and obtaining the permit has started from December 1, 2018. All the registrations will be happening through the website – https://digitalsky.dgca.gov.in/. The website will ease the process of obtaining government clearances with having to manually obtain the permissions from the respective organizations. The owner of the drone, as well as the pilots both, will have to register themselves on the website. A drone operator will need to be trained from a DGC approved Drone Training Center. A pilot will have to obtain a license and register the drones as per protocols. The drones have been categorized based on the size of the drones and the regulations have been defined accordingly. Every drone operator and owner need to register on the Digital Sky DGCA website by providing the necessary details, uploading the necessary documents on the website and paying the fee amount. Upon successful verification of the data provided, the user will be provided with a Unique ID number. This number will be required while applying for a flying permit every time. Also, the UID needs to be printed on a fire plate and the fire plate needs to be installed on the drone. Inform the local police station about the motive of flying and the place of flying the drone. Red Zone – No drones will be allowed to fly in these zones. This zone covers the Airports, International Borders, State Secretary Complex, Areas identified as “Strategic Locations” by the Armed forces of India, etc. Yellow Zone – These zones will be available for flying drones only with proper permissions obtained through the website portal. Green Zone – These zones will be available for flying drones and drone operators can seek flying permissions via the DGCA app. There will be a Drone Policy 2.o released in the near future and it is expected to include the regulations for autonomous flying, delivery via drones and the beyond visual line of sight flights. In terms of market share, the Indian drone market is expected to grow to $885 million by the year 2021. India looks forward to implementing the many applications of the drones in the near future.